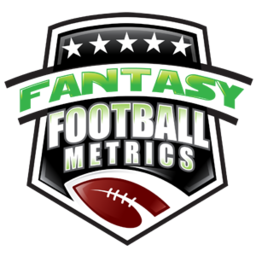 List ranked by PPR and then “Traditional/Non-PPR” Fantasy Football Scoring projections (1 point per 10 yards, 6 points per TD, lost points for fumble lost). Anything that we change during the week, we will noted in the 'CHG' column. Click here to view/download table in a separate browser. Kelce is obvious for upside...but I want to note: Kelce needs 2 TDs this week to make an extra $750K incentive bonus. I'm assuming he has let Mahomes know this...and St. Patrick may have some juice from Kelce on the line here. Kelce may be golden for at least 1 TD...if not 2 TDs this week. Terrible season until he had a god-like week last week against Detroit. It was a blip and the Bears will not be as 'giving'. Back to reality for Rudolph. Charles Clay was a healthy inactive last week, and thus Croom set a season high for him with 4 catches, 6 targets, and 55 yards. Catches his last 6 weeks of mostly limited play: 3-0-2-0-1-4. He's seeing some action. He might have a TE1-ish type week.